Terraforming Mars - My newest game, and since I said I wasn't going to be buying any games for a while and broke my own pact, this game was always destined to be played right away. Two separate nights of Terraforming Mars, two different results. The first night I take full responsibility as I didn't read the rules clearly enough. We/I made the huge mistake of thinking you could each only do one or two actions every generation and as a result about 2/3rds through the game we decided to not only stop producing (had run out of cubes), but we also weren't taking cards. The game dragged, and money and cards seemed worthless. I don't think anyone was having a particularly good time - but I knew I must have made a mistake somewhere. A game this highly rated couldn't turn dull half way through the game. Even with this huge error, I saw the potential and knew if I could figure out what we were doing wrong, there was still a lot of hope for mars and most specifically Terraforming Mars. After a bit of research I found out that the mistake we made was somewhat common with groups who were all playing for the first time. With the problem realized and fixed, we decided to come back a second night to properly play the way the designers intended. Ahhh.. what a difference! Everything had weight and meaning now. Our second play through went a lot smoother with the only negative being almost a three hour game for three players. I lost by one point based on a silly error on my very last turn - but it didn't matter. We all enjoyed it and will definitely play again. However, the time factor is a bit of a killer here. I find it hard to get long games like this played often, and am hoping that the soon to come expansion with its two boards fixes this. 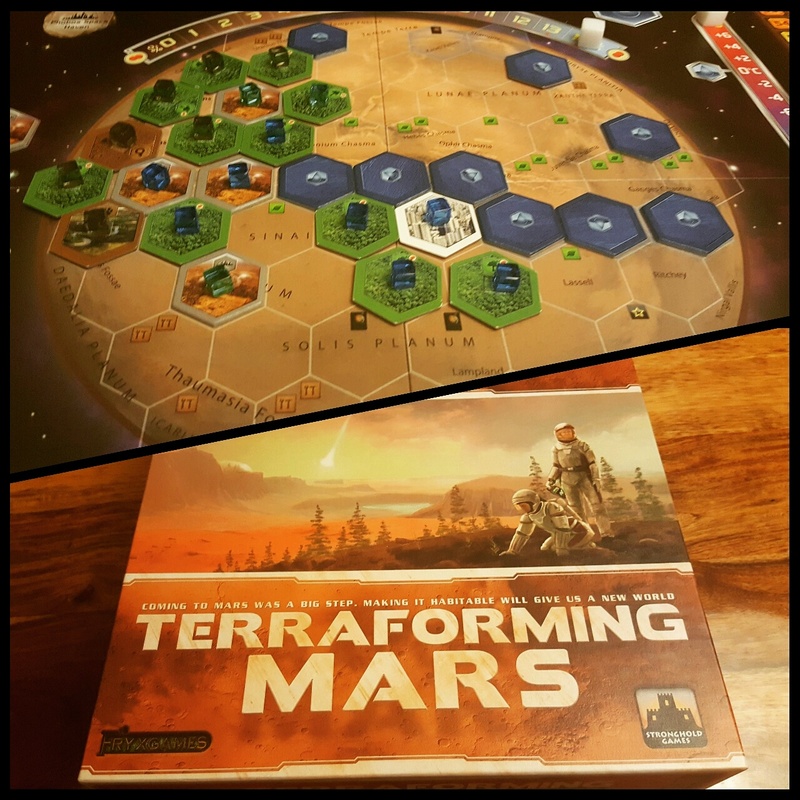 A side of mars that plays quicker, with faster win conditions to bring Terraforming Mars to a 1.5-2 hour game would really put this in the Must Buy category. As it stands now its certainly one worth giving a go, and if you have the time and friends to spend a few hours together to play with - it might just become a new favourite. Nothing - Back to the quest to conquer more of my non played games before buying more.